New research led by Piers Howe from the Melbourne School of Psychological Sciences has found that people can reliably sense changes they cannot visually identify. For example, a person might notice a general change in someone’s appearance but not be able to identify that the person had had a haircut. “There is a common belief that observers can experience changes directly with their mind, without needing to rely on the traditional physical senses such as vision, hearing, taste, smell and touch to identify it. This alleged ability is sometimes referred to as a sixth sense or ESP. “We were able to show that while observers could reliably sense changes that they could not visually identify, this ability was not due to extrasensory perception or a sixth sense,” he said. Each photograph was presented for 1.5 seconds with a 1 second break between them. After the last photograph, the observer was asked whether a change had occurred and, if so, identify the change from a list of nine possible changes. 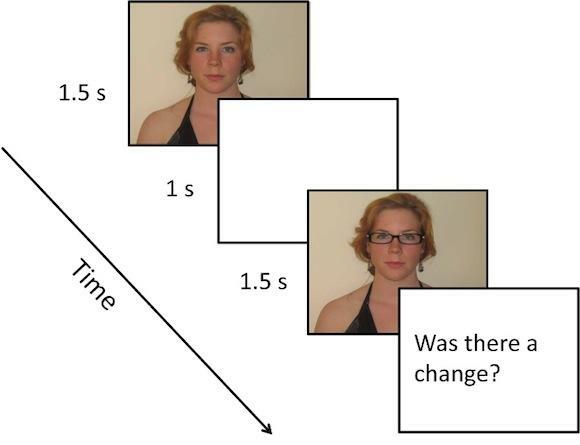 Results showed study participants could generally detect when a change had occurred even when they could not identify exactly what had changed. For example, they might notice that the two photographs had different amounts of red or green but not be able to use this information to determine that the person had changed the colour of their hat. This resulted in the observer “feeling” or “sensing” that a change had occurred without being able to visually identify the change. Thus, the result that observers can reliably feel or sense when a change has occurred without being able to visually identify the change could be explained without invoking an extrasensory mechanism.